There’s a watering hole just a few blocks away from our place in St. Paul that I can’t stop going to, The Commodore. It was a swanky St. Paul hotel (with a bar) in the 1920’s and 30’s, a time when gangsters made their way through the Wabasha street caves, jazz became glamorous, and women were shortening their skirts a little more each day. Famous people walked through the doors often, including F. Scott Fitzgerald, who was in the midst of writing some of his most iconic American novels — like The Great Gatsby, the book and movie painting such a clear picture picture of this time period.Glittering bottles of liquor, vintage stemware, black and white tiled floors, history running through its veins.Every time I walk in, the speakeasy vibe has me thinking about the racy flapper dress I might have wore, the cocktail I would have been drinking, and the man I would have had my eyes on. 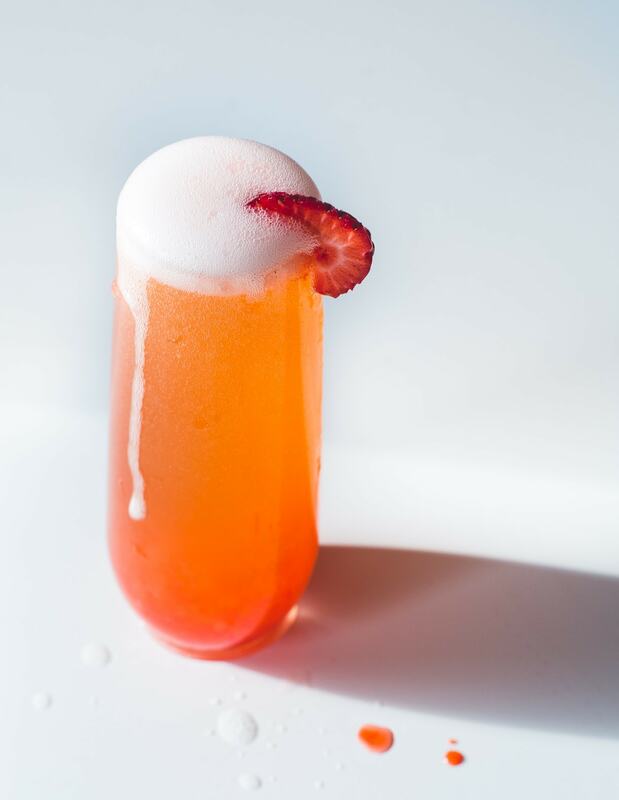 The Great Gatsby was actually where the inspiration for this bubbly, Strawberry French 75 came from, which happened to be the drink of choice for Jordan Baker, a friend of Daisy’s who loved to play golf – just like me (side note: I played competitive golf for 20 years, and went to college on a scholarship). Traditionally made from gin, champagne, lemon juice and sugar, the French 75 was named after a small, powerful gun used during World War I, and has made its way through the decades.I’m not much of a cocktail aficionado, but this tall drink isn’t complicated, and could fool anyone with its fancy glow. It’s racy and vivacious, just like the 1920’s were. There’s something very sensuous about it……. ruby red and piquant. 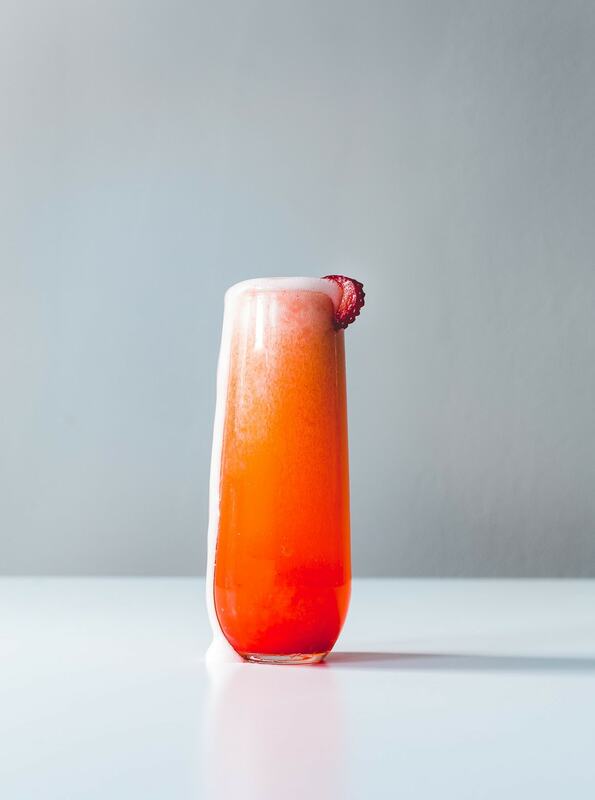 The herbacious quality of gin (I prefer Hendricks) is dynamite with the quick strawberry puree – which is just blended California Giant Berry Farms strawberries, fresh lemon juice, and a smidge of maple syrup. 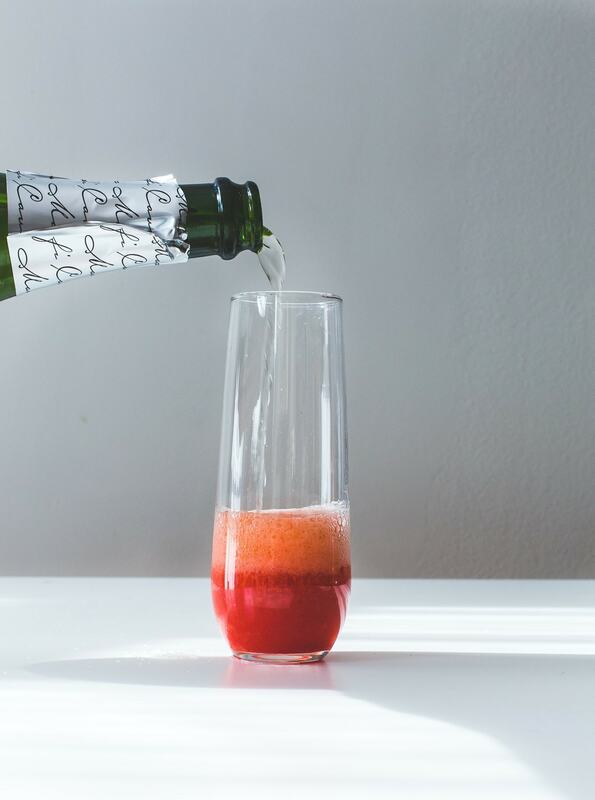 Topped off with an affordable pour of bubbly (Cava or Prosecco is in my budget, but Champagne for the purists if you like)….. it’s the kind of thing I love to sip at brunch, or as a pre-dinner libation. And if you prefer a little less zing, simply leave out the gin. Thanks to California Giant Berry Farms for sponsoring this post! And thanks to all of you for reading. 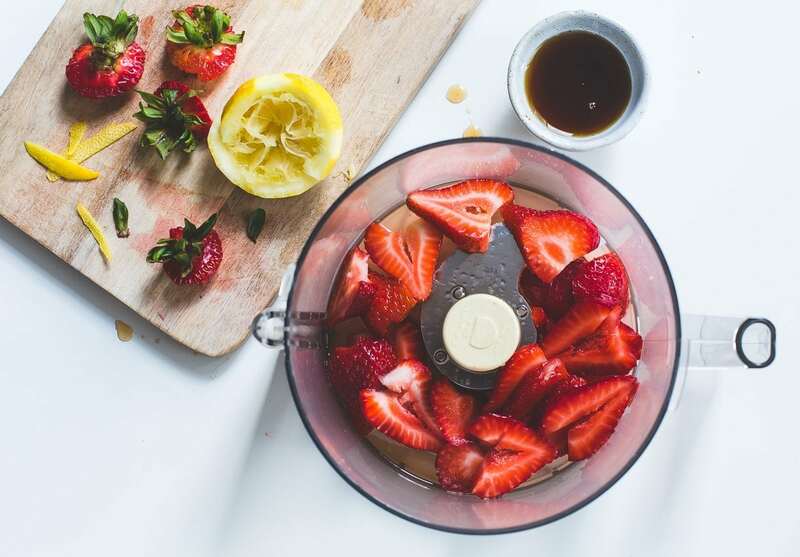 In a food processor, blend strawberries, maple syrup and lemon juice until completely smooth. Strain through a fine meshed strainer into jar. Discard pulp. 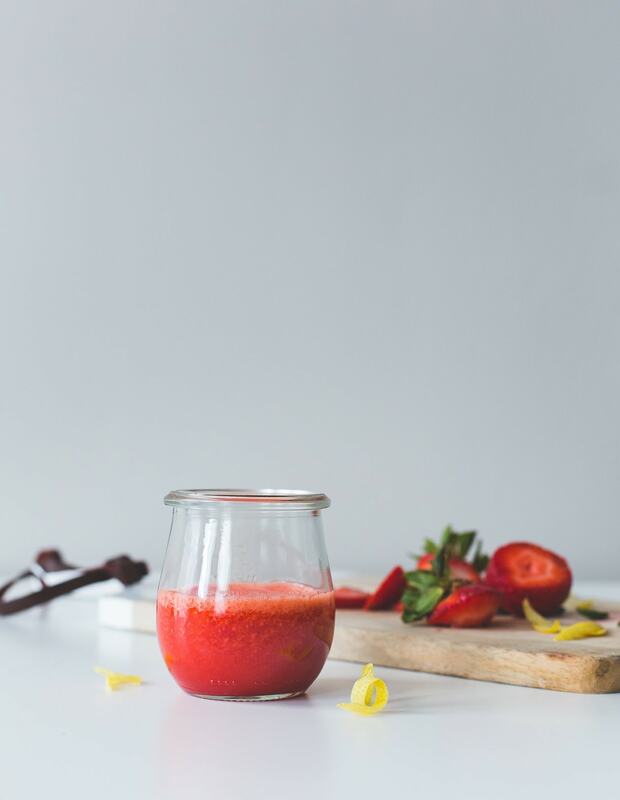 To make one drink, add 2 tablespoons strawberry puree to glass, top with gin, then top with prosecco or cava. Oh yum! Just tried my first French 75 last week at Arnaud’s in New Orleans. It’s my new favorite cocktail. This twist looks absolutely amazing! that was the best night! you both need to come back soon so we can have a full dinner there. xo. yes, your drink was so strong! what a fun night that was. i want you to come back! I love the vibrant color making it very summer refreshing! This looks like my kind of drink! Love the fresh strawberries. :) Beautiful! These are so gorgeous, Amanda! I will have to give this recipe a go. As in TOMORROW. Because strawberries. Because bubbles. AND because days off. Yay for a day off! That’s worth lifting a glass too. And these next week, I can’t wait to see you! What a beautiful Summer cocktail! This looks quite lovely. Now to run and get prosecco tomorrow so I can have this with brunch Saturday!!! This is just a stunner! What fun to think about times past, how you’d look in a flapper dress, the atmosphere of the speakeasy… the man you’d have your eye on.. I like this scene, Amanda! 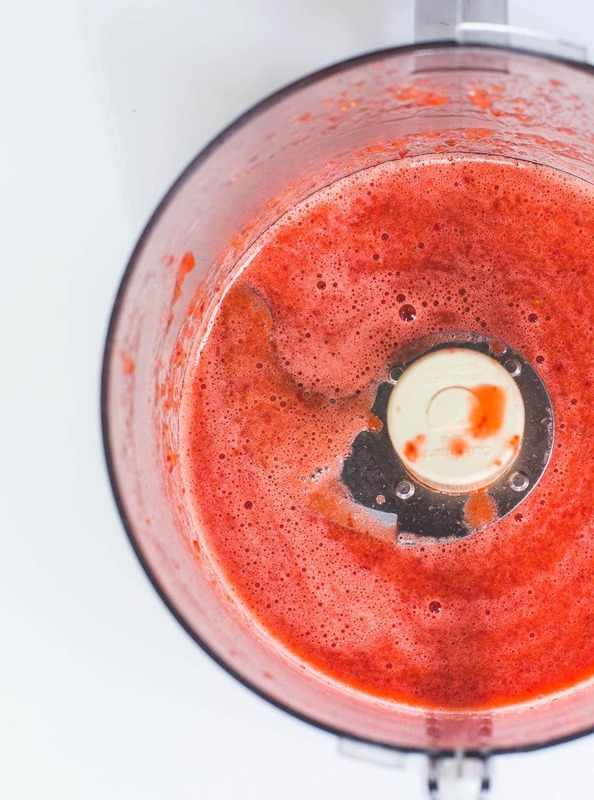 I love how you’ve included whole fruit in this sipper… simple, yet sublime! Thank you for this!